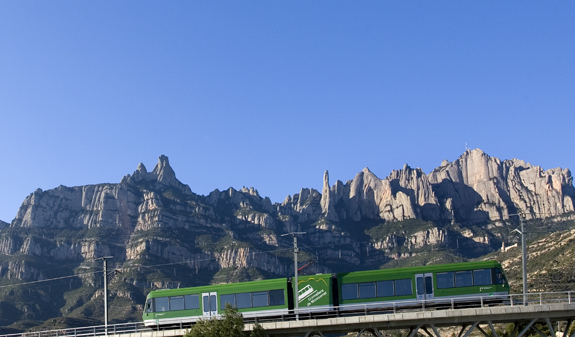 Make yourself comfortable and let the train take you to the top of Catalonia's most mysterious mountain. A journey with spectacular views that will take you from Barcelona to the wonderful Benedictine monastery of Montserratin just an hour and a half. 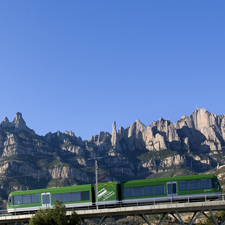 Montserrat and Barcelona are closer than ever thanks to the Montserrat Exprés, the quickest and most convenient way of reaching this magical monastery inside a unique natural park. You'll be given a welcome pack at the meeting point which will help you plan your trip. The pack includes detailed guides about the places of interest, discount vouchers at the amenities inside the park and some delicious carquinyolis, a type of biscotti made at Montserrat. 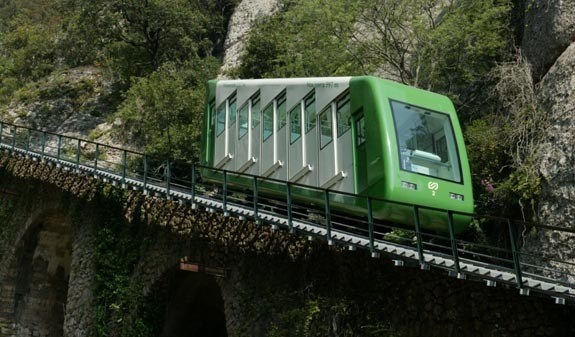 Once you've left Barcelona you'll be able to enjoy an amazing trip following the historic tracks that will take you over bridges and through natural tunnels among imposing rock formations until you come to the station where the rack railway awaits you. From there you'll begin your ascent of the mountain and you'll be at the shrine in just 15 minutes. The stunning views of the landscape will take your breath away!. You'll be able to explore every area of the shrine of La Moreneta – the Black Madonna of Montserrat and patron saint of Catalonia – at your leisure with the aid of an audioguide so you won't miss out on any details. 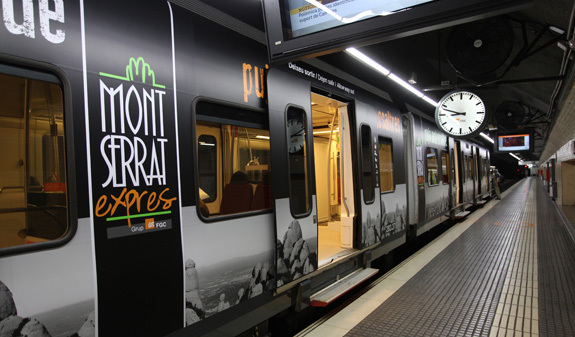 Round trip rail ticket from Barcelona and on the rack railway to Montserrat (departures from Plaça Espanya). 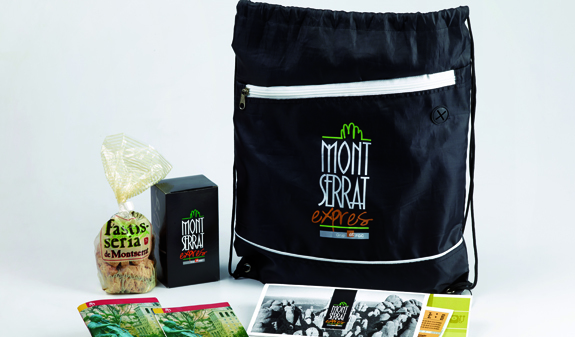 Welcome pack and rucksack that includes a guide to the shrine of Montserrat "Open-air museum", discount vouchers you can use at the amenities on the site, a box of carquinyolis*, a type of biscotti made at Montserrat, and a tasting of typical liqueurs. Audioguide in 8 languages with information about the train journey and monastery. 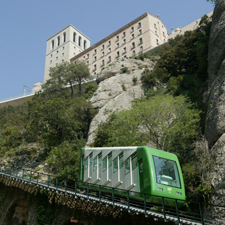 *Pick up at the information office of Montserrat. Ticket Office for the voucher exchange: from 8am to 2pm. Train departures: from 8.36am, every hour. Languages: English, Catalan, Spanish, French, German, Russian, Japanese and Dutch. Length of the train trip: 1 hour and 30 minuts. Meeting Point: FGC station pl. 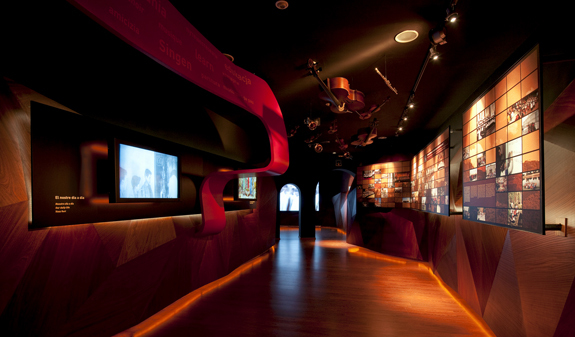 Espanya (downstairs) or Montserrat Information Point. Gran Via de les Corts Catalanes, 380. From 8am to 2pm. Metro: L1 and L3, pl. Espanya stop. Bus: 9, 13, 23, 37, 38, 50, 65, 79, 91 and 109. The stations, the train and rack railway aren’t accessible for people with reduced mobility and other disabilities.